We've just finished an order of customised cups for socially responsible client, Edwards Vacuum. They are a leading developer and manufacturer of sophisticated vacuum products, abatement solutions and related value-added services. And they are aware of their carbon footprint and no longer want to add to landfill with disposable paper cups. The cups have been customised with their do-good incentive, "#go reusable". 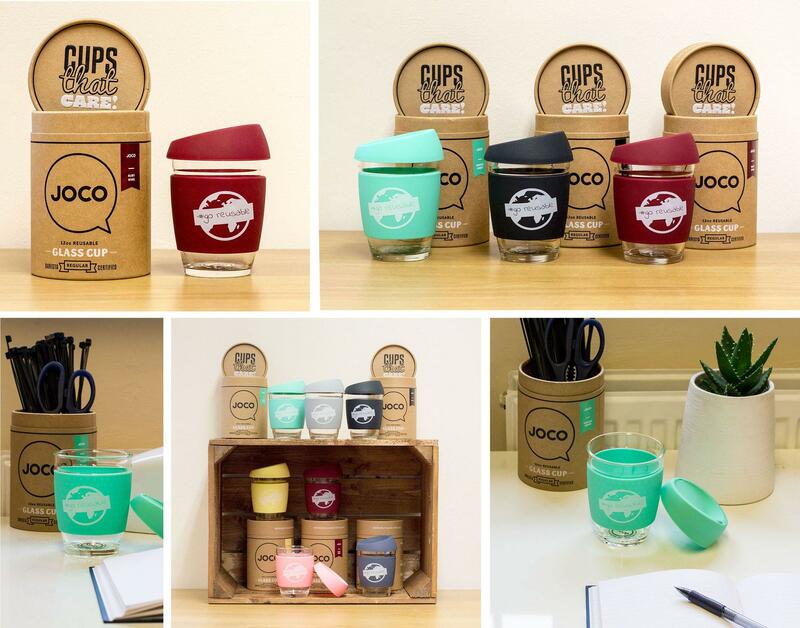 Designed to be used by their employees everyday instead of disposable cups, they have had their logo printed on a number of different coloured JOCO Cups. Edwards Vacuum are now making positive a impact on the environment. Are you? You can buy JOCO Cup directly from us for as little as £19.99. To order customised cups for your business please see our branded coffee cup page.